It’s only however-many-shopping-days-to-go before you know what (though over here in The Netherlands we get 2 bites of the cherry, as we get SinterKlaas early on in December – and the celebrations are gearing up now – and then we get Christmas like wot we do it in the UK later on in the month.) If you don’t know what you want Santa to stuff in your sack this year, maybe these pages of 30 year old toys will make you realise what you really want is a PS3, or maybe your childhood back, or maybe just a boxed Cyborg and Muton in mint condition, as they go for a kings ransom on ebay. 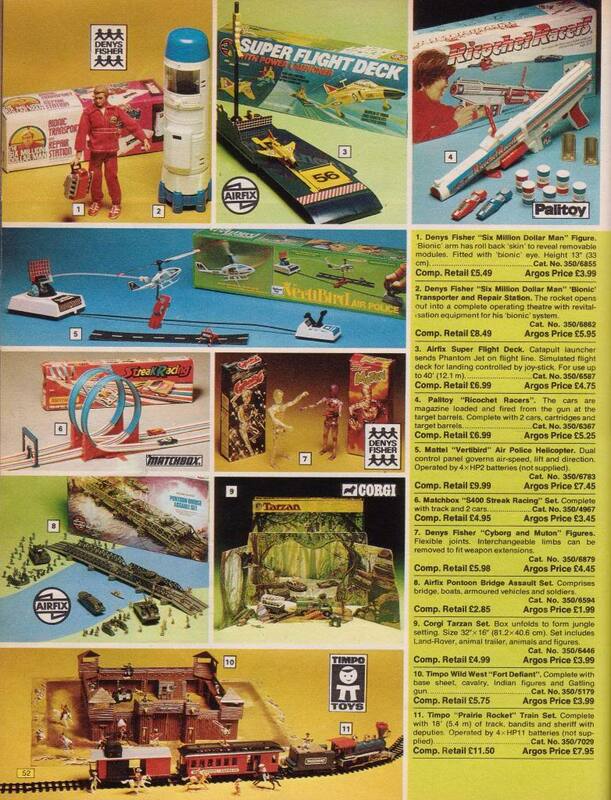 Anyway, I take no credit for these scans, but please go to the wonderful do you remember site and have a look at more lovely scans of old toys, if you wish. I think these pages date back to 1975 or 1976. 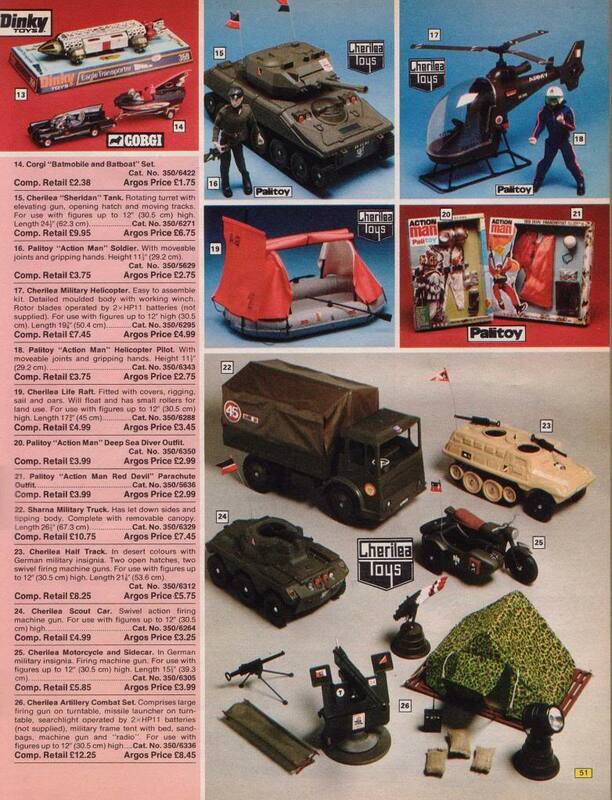 I remember Cherilea producing slightly inferior Action Man type stuff, like vehicles (it always felt a bit cheaper and not as solid as the Palitoy stuff). I had the Airfix Pontoon bridge playset! I had Cyborg and Muton too – I wrote about them a few months back.